Archos brought its first 7-inch Android tablet with hardware gaming controls, dubbed GamePad, a year ago and now the company has revealed its second-generation GamePad in a brief post on a retail website. Archos GamePad 2 comes with a 7-inch display just like its predecessor, but the resolution has been increased from 1024 x 600 pixels to 1280 x 800 pixels. The GamePad refresh will pack a punch with its 1.6 GHz quad-core processor and 2 GB of RAM instead of the dual-core CPU and 1 GB RAM, which power the current version. The GamePad 2 will be available in 8 GB and 16 GB models and both the variants support memory expansion via microSD card slot. The design and the gaming controls of the GamePad 2 remains similar to the original GamePad. 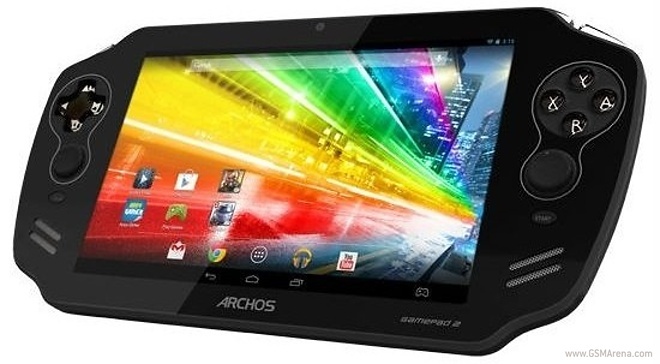 Unfortunately, there is no word on the pricing and availability of the Archos GamePad 2.